A recent report by the American Academy of Arts and Sciences reveals that the United States is falling behind in multilingual education, and why it’s so important for student success and the future of the country. Currently, the United States lags behind most nations of the world, including European nations and China, in the percentage of its citizens who have some knowledge of a second language. This will continue to be a disadvantage, since multilingualism is an important 21st century skill. We know that the focus on English, and the lack of foreign language instruction, leaves both classified English learners (ELs) and native English speakers at a disadvantage. ELs may struggle to exit services and do not have as many options to take advanced coursework or even graduate. Fortunately, dual language programs are increasing across the country and here in Minnesota. And we are seeing an increased focus on native language development, which we know is essential for building student success. When I was growing up, I continued learning Spanish beyond the two-year high school requirement and gained fluency so I could more fully enjoy my travels, explore a career in international development, and communicate with the growing Latino population in the United States. When my mother, who is a Filipina immigrant, tells her friends that I am bilingual, they compliment me and are in awe of my ability to work in another country and travel. Yet, it is striking that I do not know my heritage language, Tagalog, and that my mom and her friends’ native bilingualism is not as celebrated. For most of my childhood it made sense: my father and his family were white and monolingual, I went to school in English, and English was all around me. But then when we went to the Philippines to visit family, I recognized my inability to fully communicate. While the United States does not have an official language, it favors English. Immigrants recognize the power in learning English and want their children to know it better than they do. People in other countries recognize the power, too, so English has become a “global language.” However, the scale tips too much that immigrant children start to forget their native language and generations out do not know it at all. Schools also foster the favor with English through practice or policy. Speaking another language, as captured by the Home Language Survey, prompts a screener to make sure the student is proficient in English. Yet research on dual immersion programs shows that ELs can thrive in both their native language and English language development when the class is equal parts EL and native English speakers. ELs can better integrate if they are newly arrived and have the opportunity to maintain and develop their native language in a formal setting. Native English speakers also benefit from having native target language speakers in the classroom. Both build confidence in their target language skills and feel useful to their peers since they have a unique skill. Still, the families focusing on bilingual education or dual immersion tend to be from higher socioeconomic status. What’s more, many dual immersion programs may push out the families for whom the programs are intended. 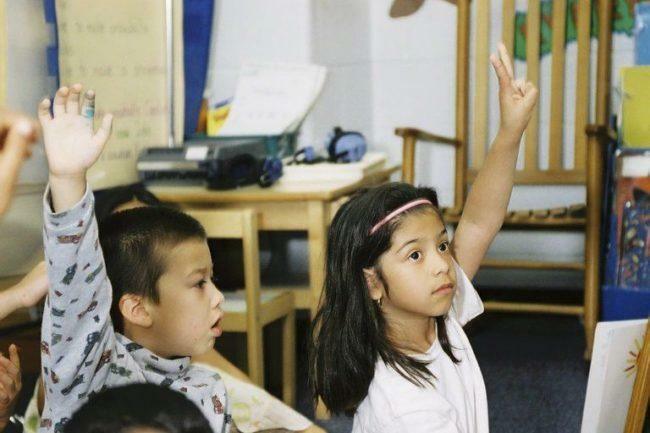 Maintaining adequate ratios of ELs and native language speakers educates children equitably. Having programs that match student languages shows their language is a right and resource, not a detriment. Schools, districts, and the state must check to ensure the demand is balanced and language justice is promoted. Foreign language education is important and necessary for the future of the country. Many students already know another language through their heritage, and their assets need to be better integrated into existing classrooms and fostered equitably in dual language immersion. Multilingualism for all promotes language justice for those who have had to leave their native tongue behind. Aara Johnson collaborates with English Learner teachers, coordinators, and communities to strengthen English Language Development and advocate for native language development and multilingualism for all Minnesota students.